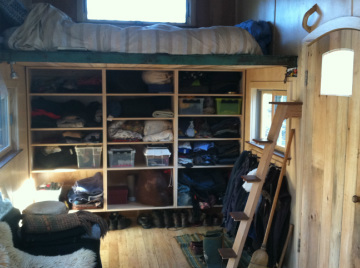 12' x 16' non-electric workshop with murphy bed for occasional guests. 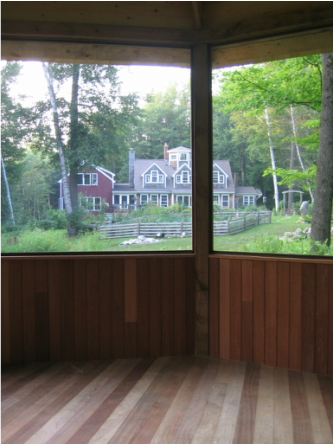 Curved Cedar shingle roof & local pine siding. 275 gallon water catchment system for the gardens. 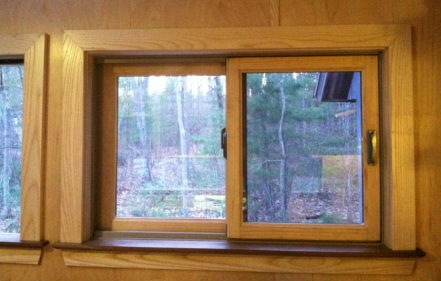 Windows are lexan and three of them open for cross ventilation. Insulation is Roxul and the unheated attic provides copious storage. 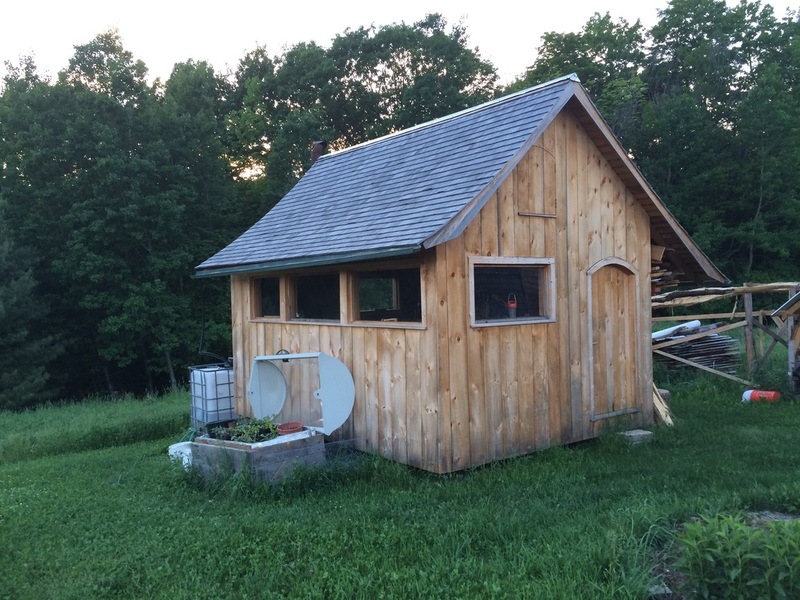 The cold frame in front is made from an acrylic plethysmograph. It works great. Heat source is a Rocket Mass Heater but on sunny days it is quite comfortable inside. 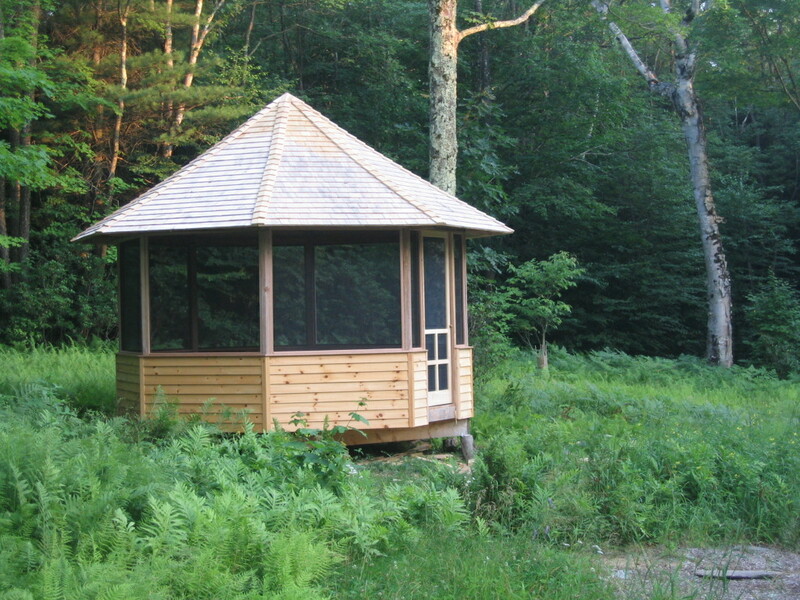 The large overhang prevents overheating in the summer. 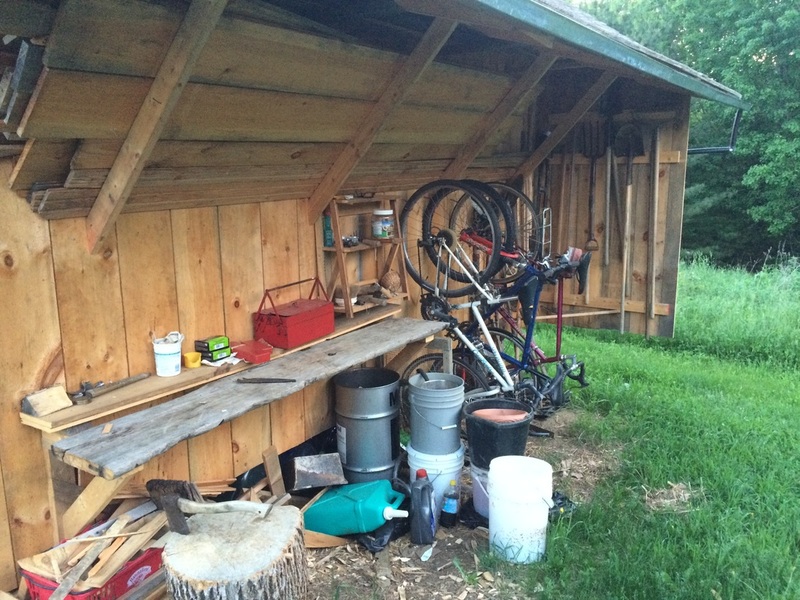 The North side of the building has a large overhang with covered a workbench, lumber & garden tool storage, and bike rack. It's also a great place to chop kindling - even in the rain! 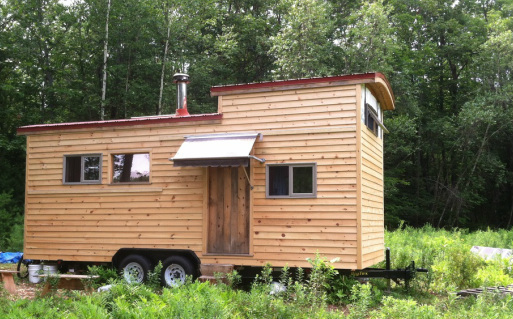 Tiny house built with love. 8' 6" x 22' and bolted to a 10,000 lb trailer so it is easily moved without any special permits. 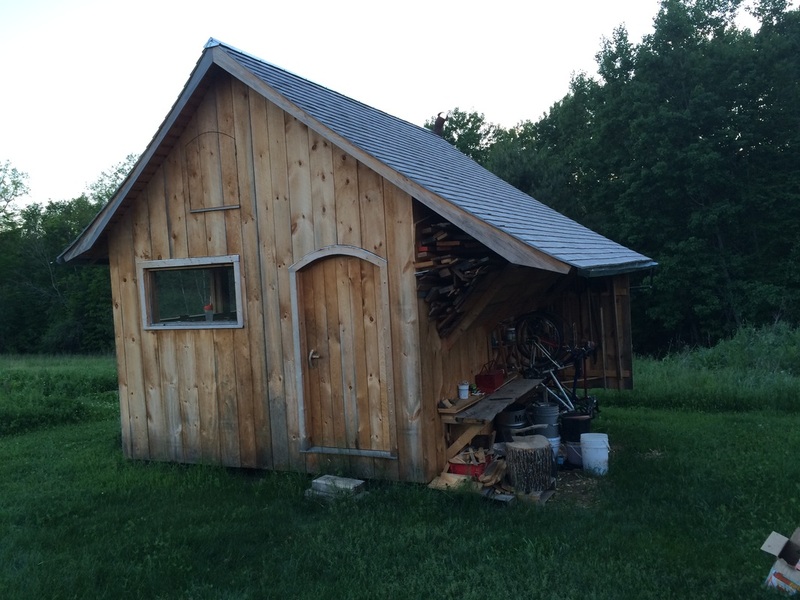 Curved metal roof, Jotul wood stove, foot pump water system, and central skylight for an abundance of light. Ultra efficient 12 volt LED lighting and ventilation fan. 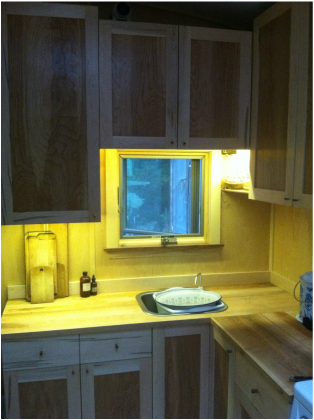 Maple countertops, custom cabinets with wormy maple and red birch doors. 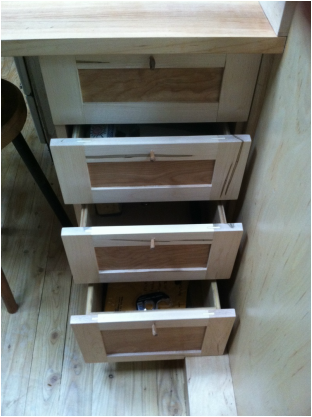 Formaldehyde-free birch plywood used for cabinets and wall panels. Interior trim of local ash with walnut window sills. Sleeping loft and convertible built-in couch/guest bed below. 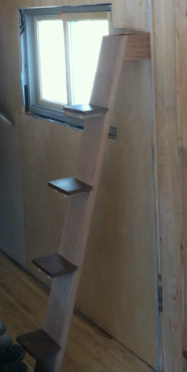 Miniature stairs made from White oak, maple, and ipe. 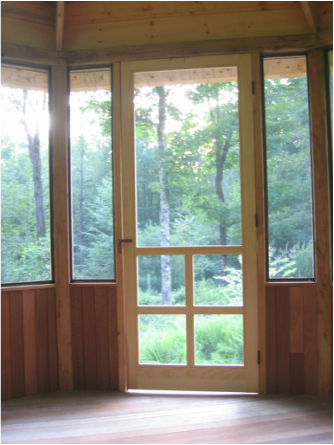 Custom insulated wooden door and Andersen windows.